The circumstances will be different, but what just happened to me has happened to you, too. Here are my specifics. I hike in the woods with my Troops (the dogs) at least twice a day. We take the same path. 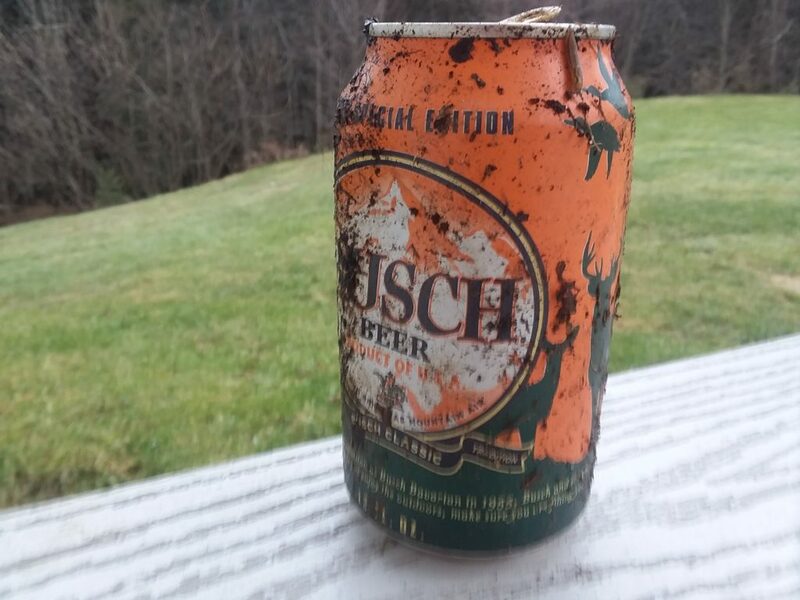 There is never litter on the Troop trek, but yesterday I came across a muddy beer can that had been tossed into dense underbrush. The amount of dirt on the aluminum told me the can had been there for a month or two. Why I hadn’t seen this before surprises me. The only ones the Troops and I see in the woods are hunters, and you can do the math. First, litter? I go so far to take cigarette butts with me to the house as I believe the“Keep America Beautiful” bumper sticker starts with me. Second, and far more distressing, is a hunter could be drinking alcohol with a gun not far from my house. Immediately I thought of the word “they.” A second passes. The word “them” comes out of my mouth. I respect a number of hunters (and I trust I’ve said enough here on alcohol and loaded guns). Please know you who wear florescent orange that the found can is just a clear example of my point for all of us, which is this: watch the “they” and the “them”s. Watch the use of the words “they” and “them.” If I’d ranted on hunters over this beer can bit, hunters, in turn, should [no pun] fire back at me because I don’t have all the facts. More so, we are all “them.” While I do not have a great deal in common with a ninety-nine-year-old Ukrainian great-grandmother or a contentious nineteen-year-old seamstress in Uganda, there are STILL unifying markers: the three of us have regrettably littered something somewhere and have not recycled everything we could have. Here is a shift to a specific something somewhere. I’m talking about a big deal these days, national border safety. The walls of Jericho described in Joshua 6:1-27 can be used to support national security to our South. Lead by God, the prophet Nehemiah had those walls restored. While there is gray area to the interpretation of these texts, advocates for wall building have a sound argument. Then there’s Jesus. The itinerant preacher did neither walls nor established rules and never speaks of division. On nationalism, He points not to kingdoms on earth but the Kingdom not of this earth. Followers of Jesus cherish His “love all others INCLUDING our neighbors” message. Listen with love. Be tired of hearing scripture used as a weapon of divisiveness and destruction. The argument Joshua and Nehemiah raise is not of walls as much as it is of sin. This sin is not of the ‘other guy.’ it is sin within ourselves. Let God be God. To do so, let’s do what His Son asks. It is not a bad idea to radically love people, is it? This blog first appeared in The Susquehanna Independent on January 16, 2019. And yes, that’s the beer can in the picture.